Wrapping around the Iveragh Peninsula, the Ring of Kerry is a scenic circuit and one of Ireland’s most popular attractions. One of three branches of land that stretch from Ireland’s south out into the Atlantic, the Iveragh Peninsula is situated on the west extremity of the largest and middle branch. 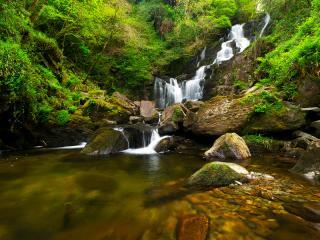 The Ring of Kerry route runs for almost 200km and takes you through some of the most beautiful landscapes in Ireland. From a mosaic of surf and storm-pounded coastline through steep breathtaking mountains, lush green fields, dark glacial lakes, historic sites and charming towns, the Ring of Kerry is one of Ireland’s greatest tourist trails. 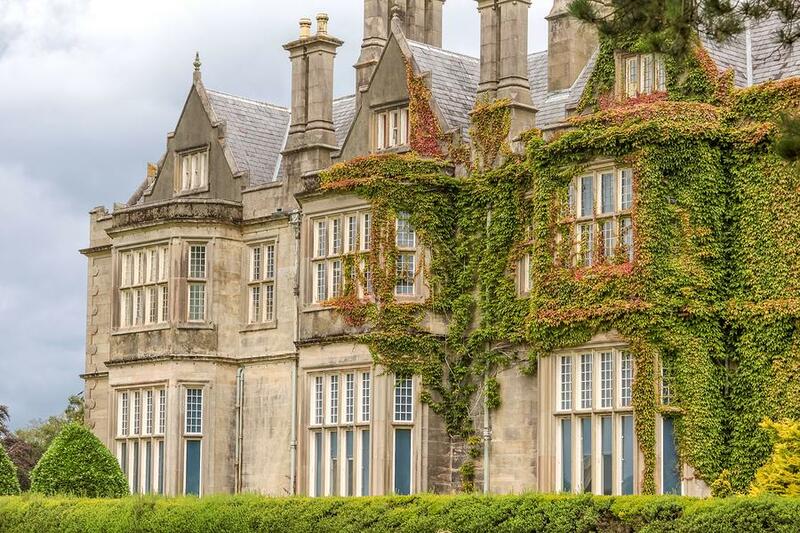 Beginning and ending inland in Killarney, this historic town is situated in a majestic location within the Killarney National Park, one of the oldest protected wilderness areas in Ireland. 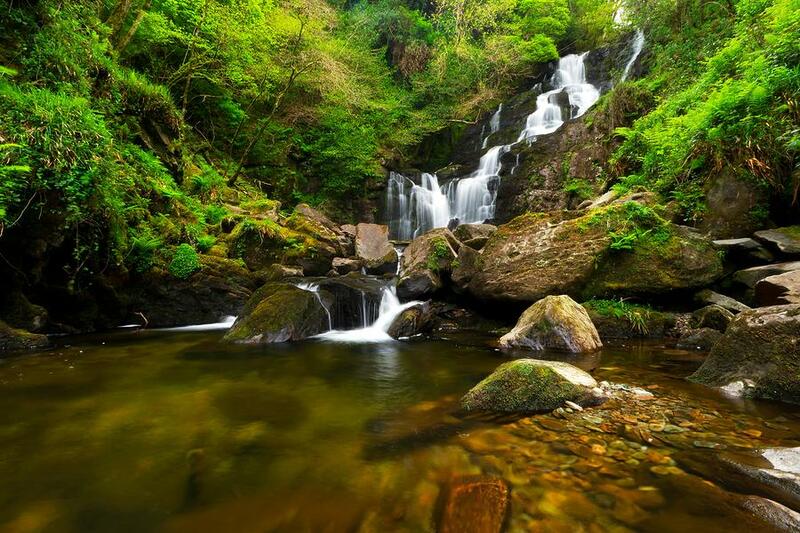 A large part of the Ring of Kerry’s attraction, the park is an amazing display of purple-tinged mountains, a sparkling scattering of lakes, ancient monuments and home of the country’s only herd of wild red deer. 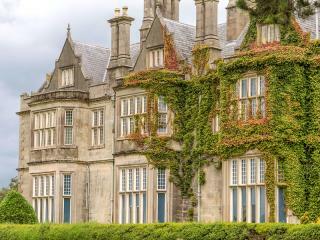 The mystical atmosphere of this pristine region has attracted visitors to Ireland for centuries. With such beauty all around you, it’s impossible to not want to get out there, get amongst it and enjoy it. Therefore, it should come as no surprise that the Ring of Kerry is a popular spot for all manner of outdoor pursuits including running, walking, cycling, horse riding, golf and water sports. The region is also renowned for its excellent fishing, particularly in the freshwater rivers where you’re likely to catch trout and salmon, as well as out on the open seas where you can reel in everything from bass, flounder, tuna and mackerel to pollack, mullet, cod, wrasse, flounder, ray and conger eel. The Ring of Kerry also offers some of the best beaches in Europe making it a popular destination for seaside holidays. However one of its biggest draw cards is the outstanding insight it offers into Ireland’s ancient heritage thanks to Old Monasteries, Ogham Stones and Iron Age Forts. With a landscape carved 10,000 years ago by the last Ice Age, the spectacular Ring of Kerry is a must-see attraction for any visitor to Ireland.